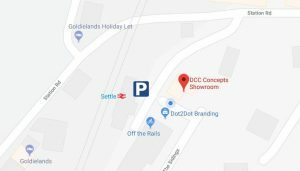 Phone: +44 (0) 1729 821 080 Email: sales@dccconcepts.com We are always available on the phone during our local office hours as above. Outside these hours, you can get in touch with us using our contact form below. If you are in need of in-depth information, please don’t hesitate to add your telephone number (and time zone) to your emails - It's often better to talk things through, as email often misses the detail and it’s important for us to know your approach to the hobby to give the best quality advice and information, so we’re happy to call you when needed!